There are 12 Memory Care Facilities in the Pasadena area, with 4 in Pasadena and 8 nearby. The average cost of memory care in Pasadena is $4,473 per month. This is lower than the national median of $4,650. Cheaper nearby regions include Altadena with an average starting cost of $3,250. To help you with your search, browse the 19 reviews below for memory care facilities in Pasadena. On average, consumers rate memory care in Pasadena 4.4 out of 5 stars. Better rated regions include Montrose with an average rating of 5.0 out of 5 stars. Caring.com has helped thousands of families find high-quality senior care. To speak with one of our Family Advisors about memory care options and costs in Pasadena, call (855) 863-8283. Pasadena has a population of about 143,000 people, with a senior population of 15.3 percent. This area has 12 memory care facilities that care for residents with cognitive impairments like dementia and Alzheimer’s disease. Four of these facilities are within the city itself, and another eight are in surrounding cities such as Glendale and Northridge. 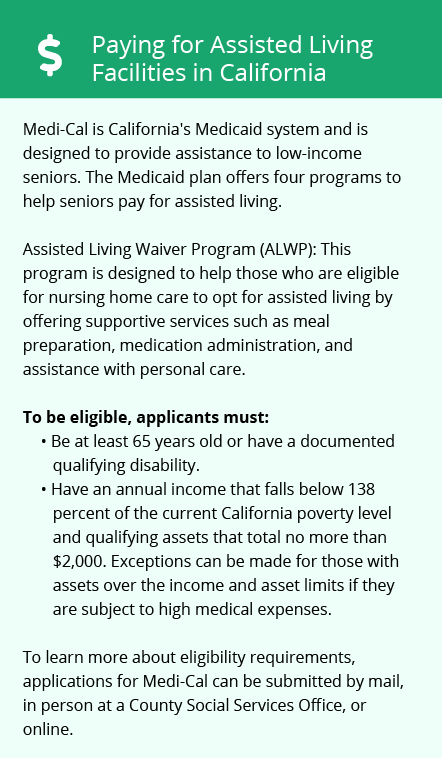 Assisted living facilities in California include memory care, according to that state’s Department of Social Services. Pasadena’s location near the coast in southern California ensures that it has a favorable climate for senior citizens. This city’s rating on the Sperling Comfort Index is 87, compared to the national average of 54. This index uses a score between one and 100, with a higher number indicating a more comfortable climate. Pasadena only receives 21 inches of rain each year and no snow at all. Its average low temperature in January is 46 degrees, and the average high temperature in July is 90 degrees. The very high cost of living in Pasadena is largely due to its close proximity to downtown Los Angeles. This might be a major area of concern for anyone needing placement in a memory care facility. Most of this cost is for housing, which is 4.37 times higher than the national average. Transportation is also expensive at 80 percent above average, but health care is 15 percent below average. Groceries, utilities and miscellaneous expenses are all very close to the national average. Overall, the cost of living in Pasadena is 2.17 times greater than the U.S. average. The crime rate in Pasadena is quite close to the national average, so senior citizens moving to that city should have no special concerns about their safety. The rate of property crimes in the city is 38.8, compared to the national average of 38.1. These scores are based on a scale of one to 100, with higher numbers indicating a higher crime rate. The rate of violent crimes in Pasadena is 28.1, slightly less than the national average of 31.1. However, this city’s violent crime rate is much less than the average of 43.5 for the Los Angeles metropolitan area. The high density of motor vehicles in this area has a substantial effect on Pasadena’s air quality, which can be a significant consideration for seniors. The EPA uses the National Air Toxics Assessment (NATA) to compare the relative risk of respiratory conditions between geographic locations. This system is based on a scale of one to 100, with higher numbers indicating lower risk. Pasadena’s NATA score is 49, compared to the national average of 58. Memory Care costs in Pasadena start around $4,473 per month on average, while the nationwide average cost of memory care is $4,799 per month. It’s important to note that memory care rates in Pasadena and the surrounding suburbs can vary widely based on factors such as location, the level of care needed, apartment size and the types of amenities offered at each community. To see a list of free memory care resources in Pasadena, please visit our Assisted Living in California page. 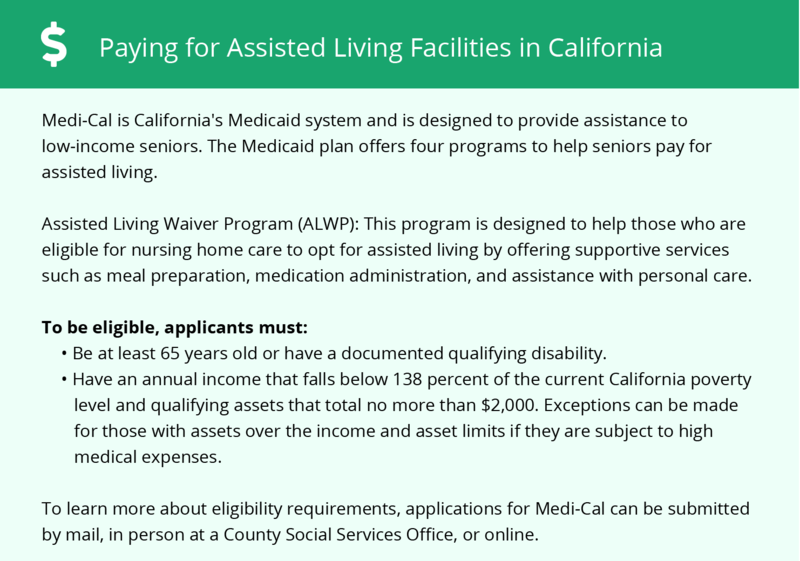 Pasadena-area assisted living communities must adhere to the comprehensive set of state laws and regulations that all assisted living communities in California are required to follow. Visit our Memory Care in California page for more information about these laws.